Namine loved her first baseball practice! 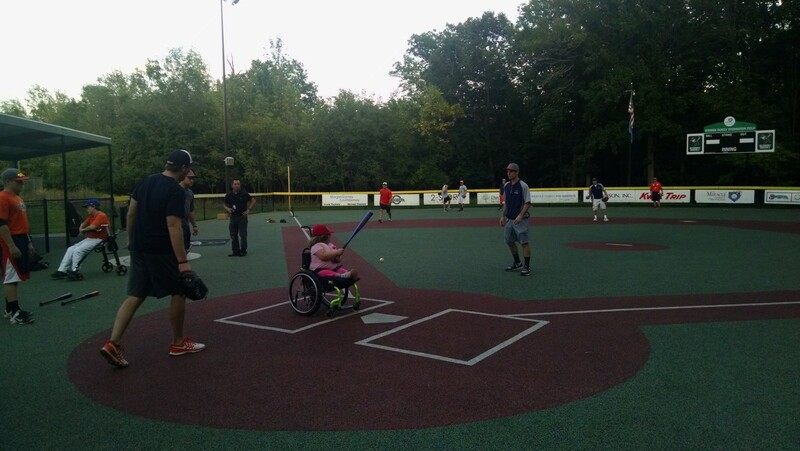 The first meet-up for the YMCA’s Miracle League was earlier this month, but it was cancelled due to inclement weather. That was never rescheduled, and we were unable to attend the next one, which was on Saturday. (Namine was at a friend’s birthday party.) She won’t be able to attend this Saturday, either; we’ll be on our way to Florida by then. Moving on to batting — which was what Namine was looking forward to — the coach started her out at a tee. She’s already had some practice there, but the bat seemed heavier than the one she used at home. She didn’t bat one-handed at all, but she pegged the ball pretty good a number of times. Then they took away the tee, and got her used to hitting the ball out of the air. She got the hang of it pretty quickly. Nearing the end of the session, the coaches gathered the kids together for a game. Not knowing the rules, she was a little confused as to what was supposed to happen after she hit the ball. With a little encouragement, though, she happily wheeled around the bases. 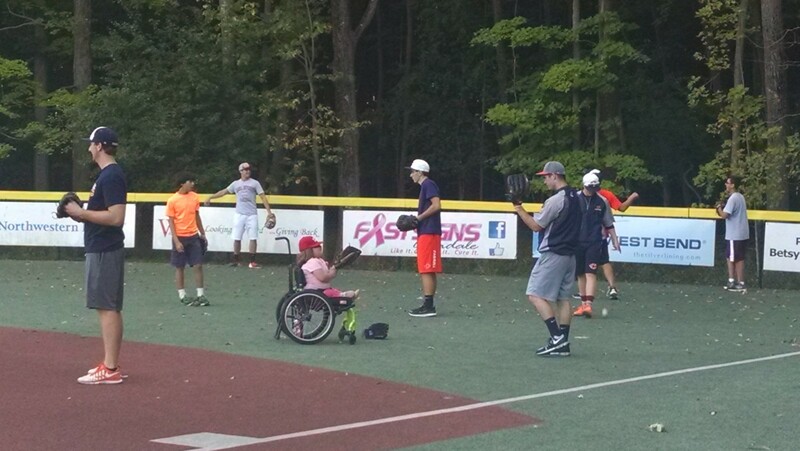 She still had a great time playing baseball, and can’t wait to do it again.